TWO events in the indefatigable city of Lagos have given young entrepreneurs cause to swing between celebration and despair in a matter of days. The jubilation came with Mark Zuckerberg’s surprise appearance in the city during his inaugural visit to Africa. The Facebook CE delivered an endorsement of Nigeria’s prospects as a centre of innovation on the continent. He praised the talent and energy of the millennial coders, software developers and tech incubator founders whom he met in Yaba, Lagos’s boisterous tech hub. This, he said, “is where a lot of the future is going to be built”. Some of them are trying to solve problems that successive governments have identified but failed to fix, from waste management to maternal mortality. By contrast with this vote of confidence, a second event illustrated the scale of the challenges. Worse, it gave young business people reason to believe their biggest obstacle, as the economy sinks into recession, is often the government, and its inability to implement laws transparently. 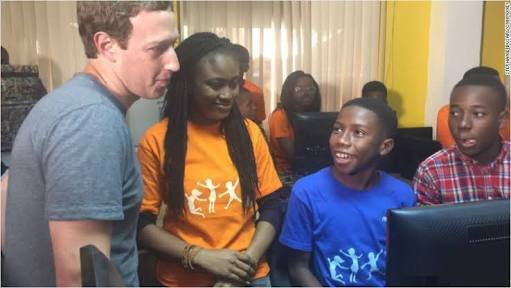 One morning just after Zuckerberg left, local authorities arrived at a row of six new businesses that opened in 2016 in the district of Ikoyi. Officials informed staff that the entire strip would be demolished immediately. By that afternoon, bulldozers had levelled stores including a bakery, a pharmacy, a dance studio and a juice bar. Photos on Instagram show the owners, all women, standing in front of the rubble having scrambled to haul their furniture and appliances out before demolition began. “I was dumbfounded to see this place I have put so much investment in gone before my eyes in the space of a few minutes,” says Ada Osakwe, founder of The Nuli Juice Company, who opened her flagship store just two months ago. The owners of these businesses later learnt from the authorities that their landlord had been served with notices stating that the properties violated zoning laws. Osakwe said she had obtained permits from the state government to serve food at her juice bar and café before opening her doors in June, and was not informed when she did so of any zoning problem with the property, on which she had paid a year’s rent in advance. Two days later, the state government announced it was removing “unplanned commercial centres” and “roadside restaurants” that have “distorted” government planning. “This is an … ongoing operation to sanitise the environment,” it said. The failure to serve notice to the tenants themselves led to fury on social media and a wave of support for the afflicted businesses. Uber Lagos added an option to its app to allow its customers to order juice deliveries direct from Osakwe. Up to 30 staff face an uncertain future as their employers grapple with the costs of starting anew. Amid its worst economic crisis in generations, Nigeria can ill-afford to squander jobs. Statistics released in August found that in the second quarter of 2016 49.5% of the youth workforce was “unemployed or underemployed”. Osakwe says she employed eight young people who earned 2.5 times the minimum wage. The idea that the government is one of the hurdles that ambitious young people must clear would no doubt be an affront to Buhari’s administration, which convened a “demo day” to promote entrepreneurs that coincided with the Zuckerberg visit. Entrepreneurs confronted with the rubble of their demolished businesses will need more reassurance.